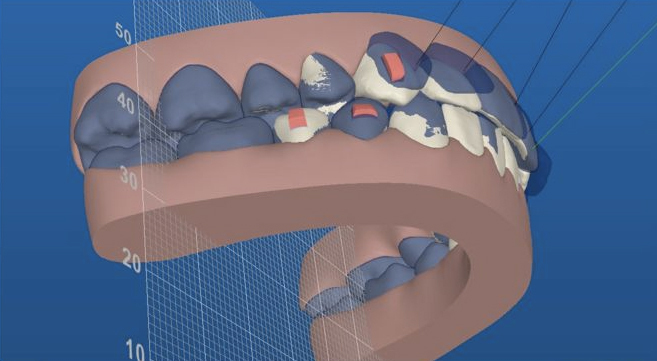 iTero Digital Impressions – This technology replaces the need to take impressions in the mouth during many restorative procedures. 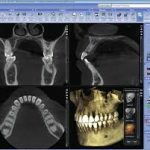 We are able to digitally scan and record your teeth, allowing us the ability to review details of your case in high definition, and communicate efficiently with our select laboratories. 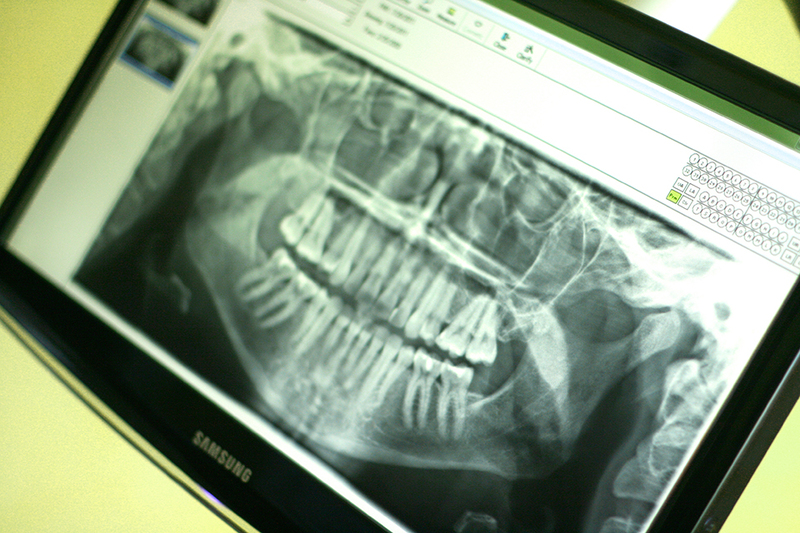 3D Cone Beam Tomography – We have the ability to take three-dimensional x-rays of your jaws and sinuses in-office. This dramatically improves our ability to diagnose potential issues that may remain hidden from view in conventional, two-dimensional x-rays. These images allows our doctors to access valuable information during a surgical procedure, as well as in the planning phase of future restorative treatment. Digital x-rays – Using a handheld x-ray unit and digital sensors, we can use up to 90% less radiation than conventional x-rays, and obtain instant images, saving time. 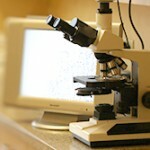 Phase Contrast Microscope – Using microscopy, we can instantly visualize the type of bacterial flora in your mouth, helping our doctors and team to identify any harmful, pathogenic organisms that would not otherwise be observed. 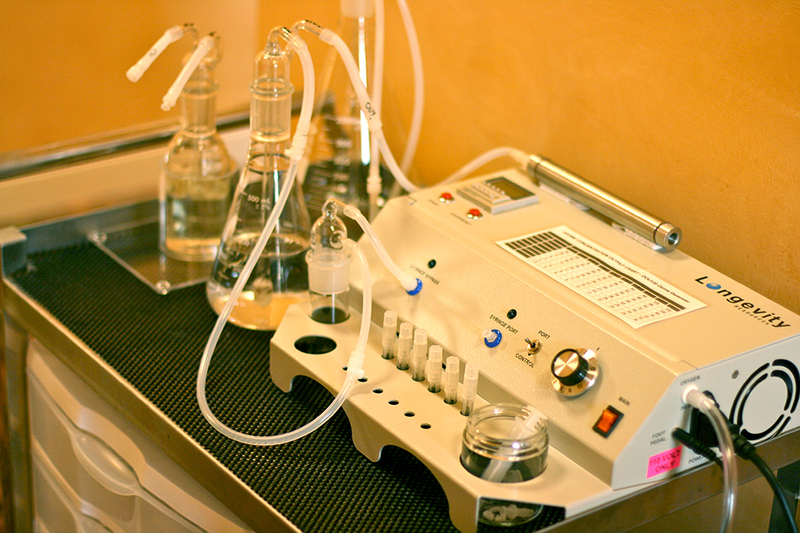 Ozone Therapy – Using a medical grade ozone generator, precise concentrations of ozonated water and gas is generated from bottled oxygen, and is used to treat many conditions in the teeth and mouth. L-PRF Platelet Therapy – Using a specialized centrifuge, equipment and protocols, we use grafts derived from the patient’s own concentrated platelets and growth-factors to aid in healing and regenerating tissue after surgery. Serum Compatibility Test – If appropriate, a simple blood test can determine what materials are compatible with your immune system. 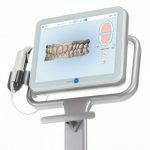 High-Resolution Intraoral Photography – A precision camera set-up and techniques to take images that assist our doctors in treatment planning your case, as well lab communication to achieve precise results. 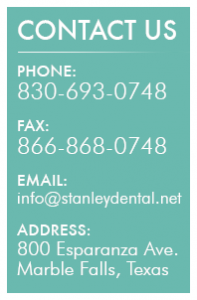 Current Sterilization techniques – Used to assure our office has the most up to date methods to ensure a safe visit. Paperless charting – This not only saves paper, but leads to more accurate charting and a quicker visit. 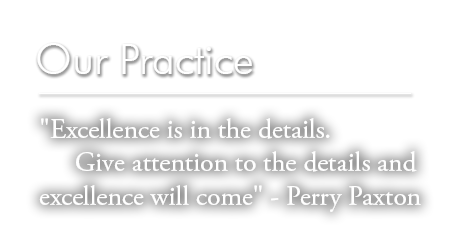 Solution Reach – A service we provide to our patients to help maintain communication, as well as get feedback to learn of ways we can improve your experience.